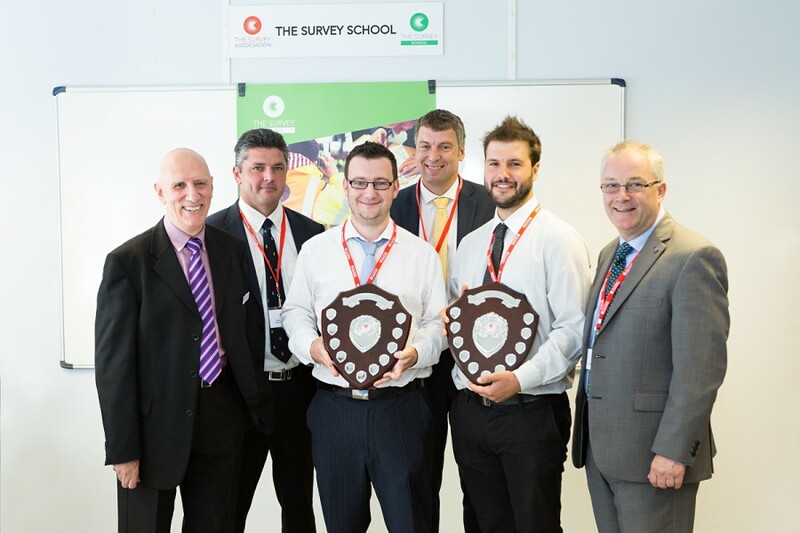 The graduation ceremony marking the achievements of students on the 2015 TSA Surveying Course positions the Survey School as the major supplier of the next generation of qualified personnel. Speaking at the presentation, TSA President Mark Combes paid tribute to manufacturers, Leica Geosystems, Topcon and Trimble for donating equipment supporting the School’s ambitions to be the ‘jewel in the crown’ of survey training providers. Since taking over the running of the School in May 2014 TSA has transformed the facilities and updated the IT systems at the Worcester site. 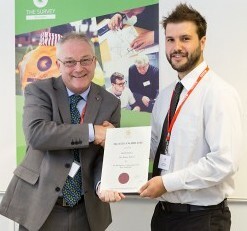 Mark Combes urged this year’s graduates to act as Ambassadors for the Survey School and hoped they would be encouraged to go on to gain further professional membership qualifications in an industry which has a major impact across many sectors. Also in attendance for the ceremony and to announce the winners of the Best Assignment and Best Student awards were prize sponsors Ian Bush, President of the Chartered Institution of Civil Engineering Surveyors, (CICES), and John Fraser, Managing Director of Leica Geosystems. The Best Assignment award was won by Keith Gunn of Global Surveys for a measured building survey that tutors said was completed to a very high professional standard. Ian Bush, President CharteredICES, presents Keith Gunn of Global Surveys with his Best Assignment Certificate. 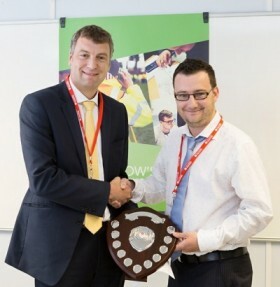 Ian Bush presents Keith Gunn with the Best Assignment Shield. 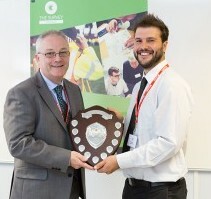 A consistently high performance in exams and a diligent approach to class work and assignments delivered an overall 90% mark for Steve Cottis of Atkins, named as Best Student. 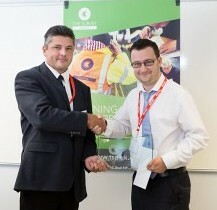 John Fraser of Leica Geosystems, presents Steven Cottis of Atkins with the Leica Shield for Best Student. Mark Combes, TSA President, presents Steven Cottis with the TSA Best Student glass plaque. Neil Gamble, Survey Manager, Transportation at Atkins explained why he believes the TSA Surveying Course is a good model for today’s employers and ambitious employees. “It really takes students back to basics on the principles of surveying, which in today’s push button world is not so easily acquired. As a result their surveying capabilities and problem solving skills are strengthened. The Course is very important to us as it plays a great part in the development of our surveyors individually and our team as a whole. I am absolutely delighted with Steven’s outstanding and fully justified result,” said Neil. To date more than 300 students have graduated from the School and this year’s class of 13 could potentially double by July 2016 as two TSA Surveying Courses will be offered in parallel. With the September 2015 Course now full, TSA has moved quickly to provide more places with two further Courses starting in October 2015 and February 2016. Additional, new opportunities for training are also available through a menu of short courses on specific surveying topics.